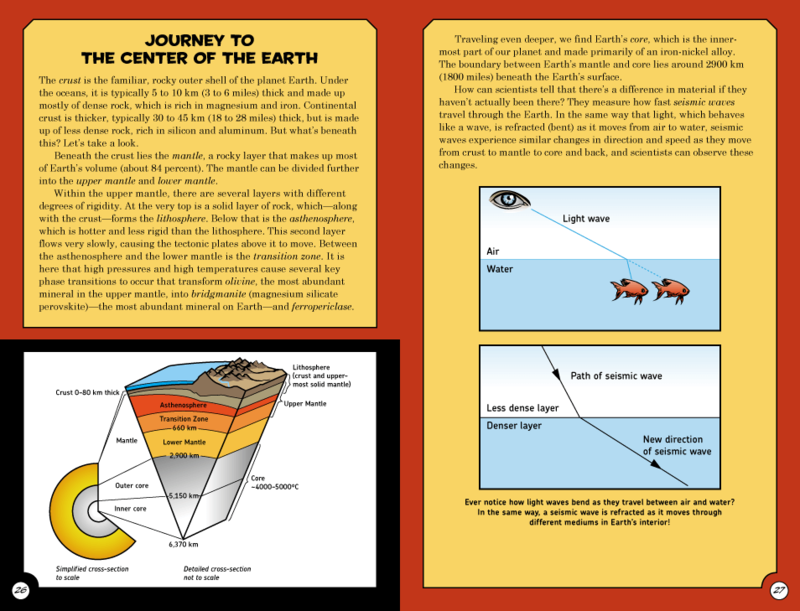 San Francisco, CA, July 24, 2014—Earth science raises a lot of questions for kids: What was Pangea? Why do mountains form? Why do earthquakes happen? What would we find at the center of the Earth? Some of these concepts can be difficult for kids to grasp, especially when the answers are hidden in a dry textbook or presented in a sometimes less-than-inspiring science classroom. 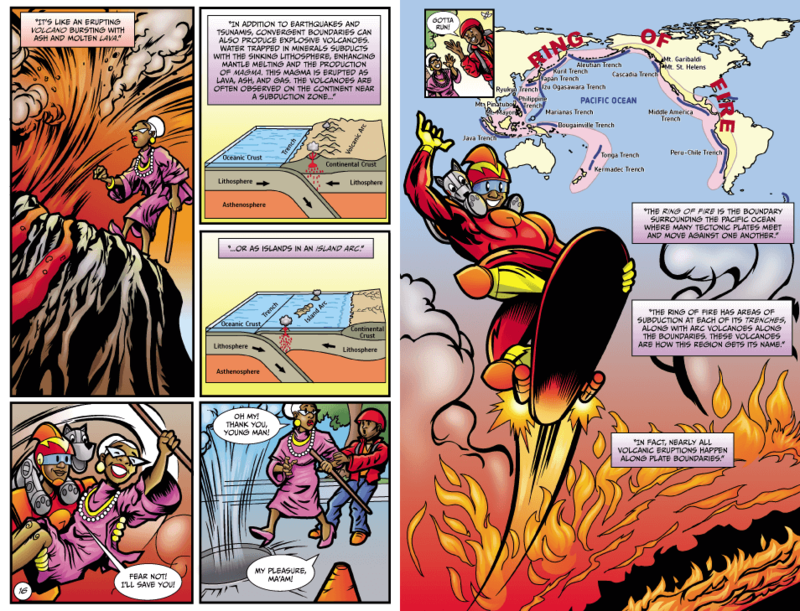 But now, parents of aspiring geologists, volcanologists, and seismologists have an ally—a fun, educational comic book with the answers! 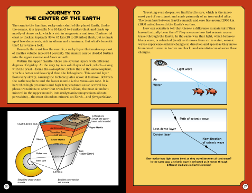 The reader’s journey begins 200 million years ago, then heads through modern-day Hawaii, across the ocean floor, and deep inside the Earth. 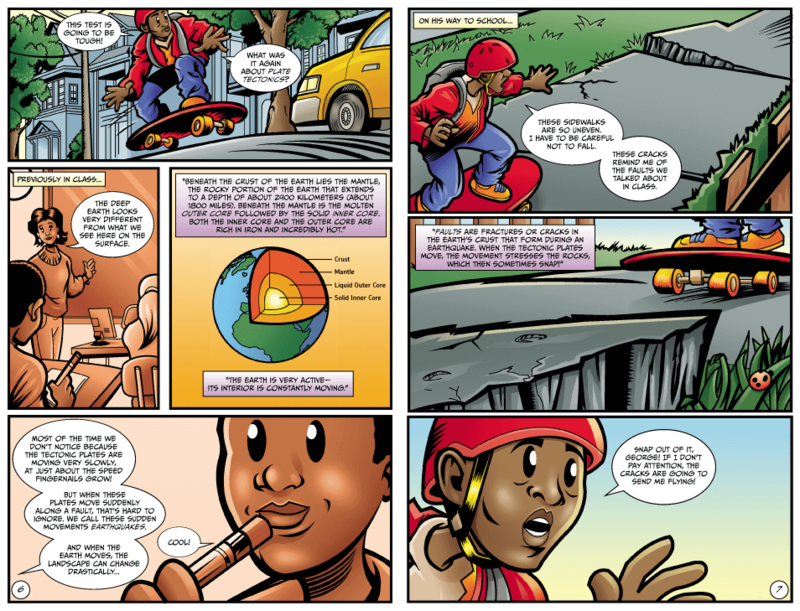 Along the way, Geo and Rocky explain the Earth’s interior, earthquakes, tsunamis, ocean ridges, volcanic islands, and the theory of plate tectonics. 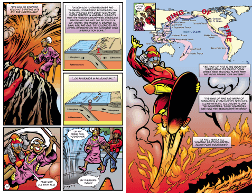 The Incredible Plate Tectonics Comic makes its way into fine bookstores everywhere in September. 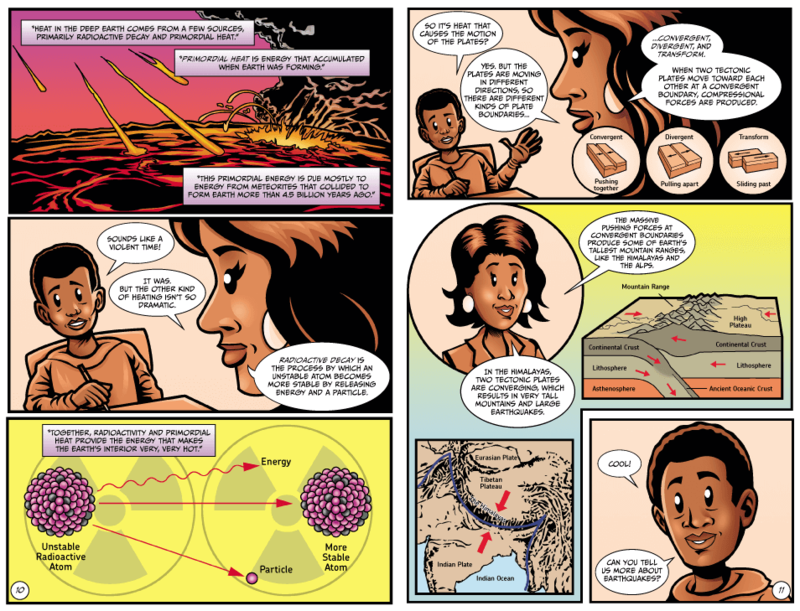 For a review copy of The Incredible Plate Tectonics Comic or to schedule an interview with the author or illustrator, contact Mackenzie Dolginow at No Starch Press. Dr. Kanani K.M. Lee is an associate professor in the Department of Geology & Geophysics at Yale University, and conducts experiments at high pressures and high temperatures to re-create the conditions of Earth’s mantle and core, in order to better understand the formation and evolution of the Earth and other planets. 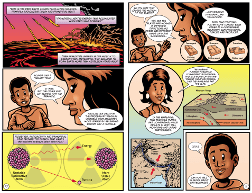 This educational comic was produced in part thanks to a grant from the National Science Foundation. Adam Wallenta has illustrated dozens of comics and graphic novels and has worked for companies such as Marvel Comics, DC Entertainment, and Skyhorse Publishing. Lee and Wallenta live near New Haven, Connecticut, with their son. Founded in 1994, No Starch Press publishes the finest in geek entertainment, covering topics like LEGO, hacking, science, math, and programming for all ages. Our titles have personality, our authors are passionate, and our books tackle topics that people care about.